There's nothing that leaves a warm glow quite like a compliment, even for us chronically self-deprecating Brits. We might squirm and brush it off with an "Oh, this old thing?" response, but if we're honest, it's nice to have someone else share the joy of a piece with. Obviously, you don't want to shape your style purely around what others approve of, but in our experience, it can't hurt to reflect on the items in your wardrobe that draw those approving nods. The process can help shake you out of a clothing rut (others tend to be more open-minded about what looks good on you) or simply highlight the styles that would usually slip under the radar. 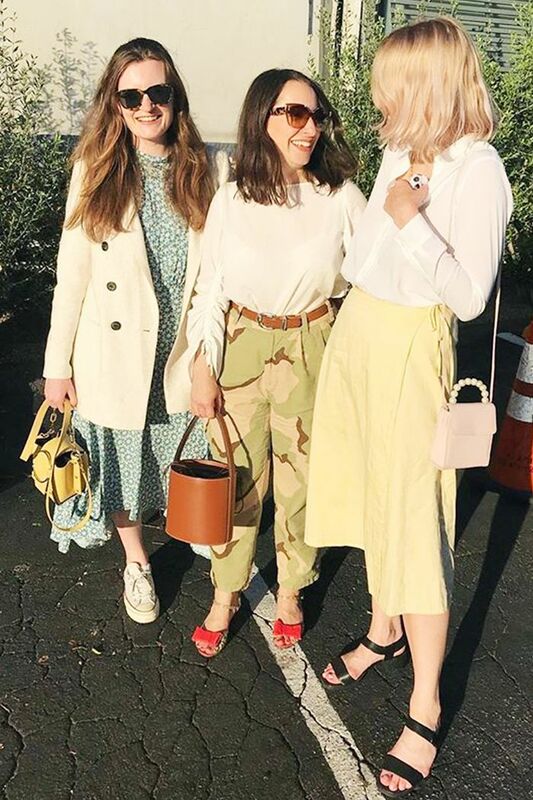 That's why we thought we'd share the pieces members of our editorial team get most complimented on—from Hannah Almassi's cool combats to Joy Montgomery's wide-legged jumpsuit. We hope these pieces inspire your next shopping trip and highlight the gems in your own wardrobe. Scroll down to discover the looks. "I'm such a dress person, but I always seem to get complimented more when I wear something casual and centring around trousers! Perhaps I don't wear what I should wear to suit myself the majority of the time, or perhaps it's that a more noticeable style change prompts people to say something. Either way, these camo pants from a skate brand called Obey (available on ASOS) have been a surprising hit! They're comfy, a bit unexpected and a far more 'me' alternative to jeans." "It was love at first sight when I spotted this jumpsuit in Arket—I fell for the hang of heavyweight fabric and the safari jacket–inspired details. It took me a little while to summon the courage to wear it out as I'm not usually someone who opts for neutral/white hues. But the moment I did, I knew I'd made the right decision, as I received so many compliments. Sometimes going out of your comfort zone pays off!" "Whenever I wear my pink silk pyjama set with heels on a night out, people love it. I think partly because they're jealous, as I'm very comfy (only kidding), but also because it's quite different from usual party looks. I highly recommend." "This Isabel Marant check linen jacket was a real investment for me, but it paid off because it's one of those pieces that makes jeans and a white T-shirt look put together, and I'm always asked where I bought it from." Up next: This new print will be bigger than polka dots.